Progressive slot machines are some of the most popular slot machines because they give players an opportunity to win a life changing amount of money for a relatively minimal wager. Therefore, we’ve decided to dedicate this section of our website to providing our visitors with reviews and recommendations of some of the most popular online progressive slot machines. As you continue reading below, you’ll find images and brief reviews of some of our favorite progressive slot machines. 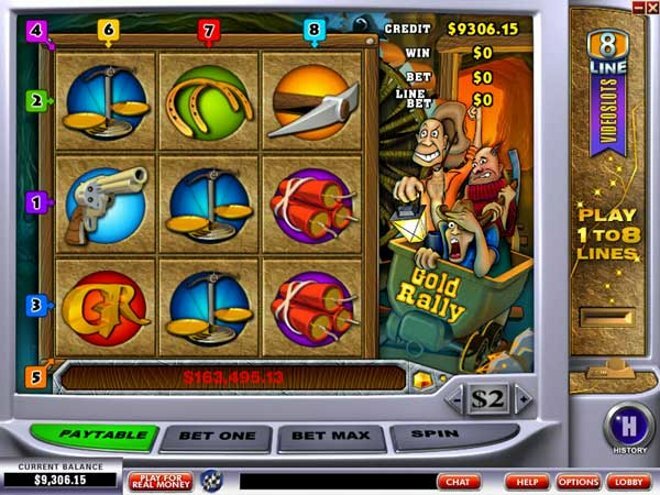 Each of these games is available exclusively online and they all have lucrative jackpots that are waiting to be won! We play these progressive slots on a regular basis and we can attest that they never get old, so if you’re anything like us, you’ll love playing these progressive slot machines too! If you’d like to find out more about any of the progressive slot machines featured below, simply click on the image of the game you’re interested in learning more about and you will be taken to that game’s individual review page. From there, you’ll be able to learn more about the game and you’ll also find a list of reputable online casinos where you can play the game for free or for real money! The Beach Life Progressive Slot is one of our favorite progressive slot machines because it gives you an opportunity to win thousands upon thousands of dollars in a single spin by winning the progressive jackpot! The Cinerama Progressive Slot is a movie themed progressive slot machine that requires you to get give wild symbols on an active payline while betting max coins in order to be eligible to win the progressive jackpot! 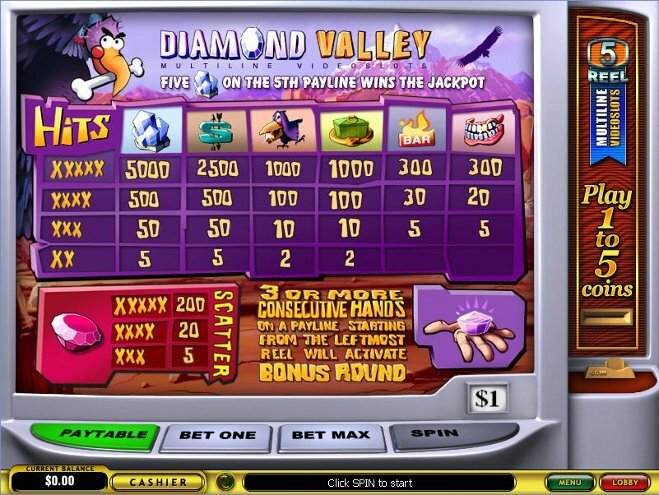 The Diamond Valley Progressive is a unique progressive slot machine that is only available online. In order to win the progressive jackpot, you will need to get five diamond symbols on the fifth payline! 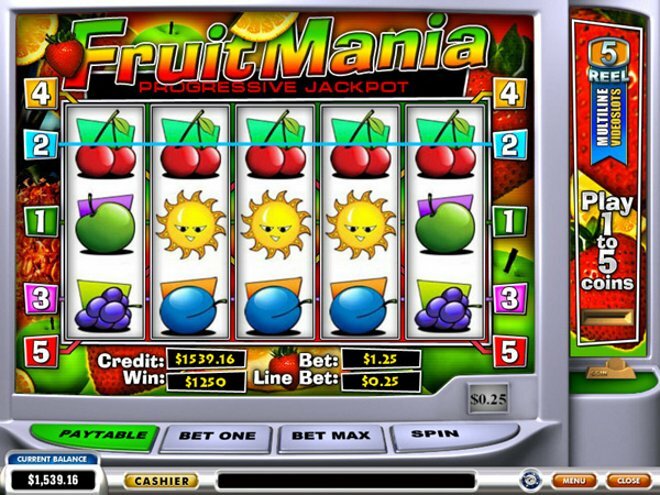 The Fruit Mania Progressive Slot is a Playtech powered progressive slot machine. In order to win its progressive jackpot, you must line up five cherry symbols in a row on the fifth payline of this game. 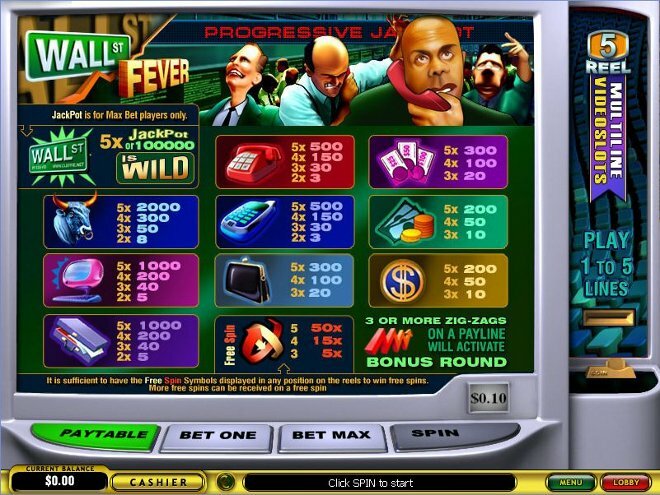 The Gold Rally Progressive Slot is a unique online progressive slot machine. In order to win the progressive jackpot, you must acquire nine scatter symbols on all of the reels of a single spin on this online slot. 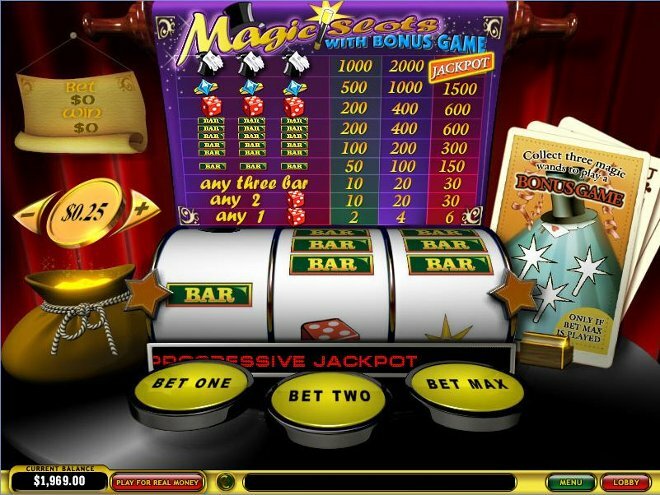 The Magic Slots Progressive game is a progressive slot machine that requires you to get three top hat symbols on the same payline while betting max coins in order to win the progressive jackpot amount. 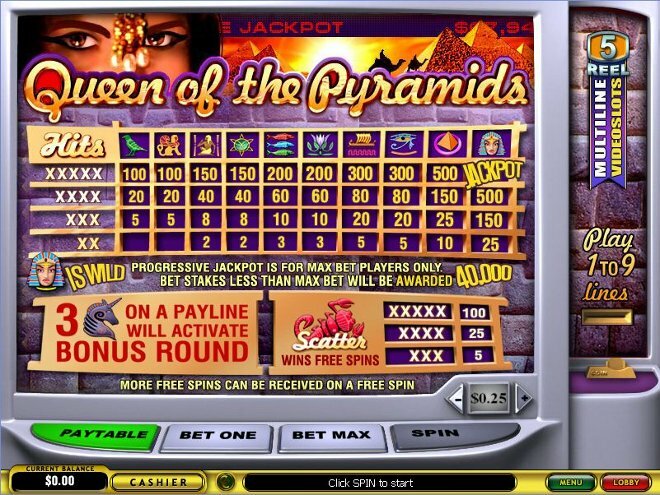 The Queen of the Pyramids Progressive is one of our favorite progressive slot machines. We’re huge fans of this game because it boasts one of the largest progressive jackpots that you can find online! 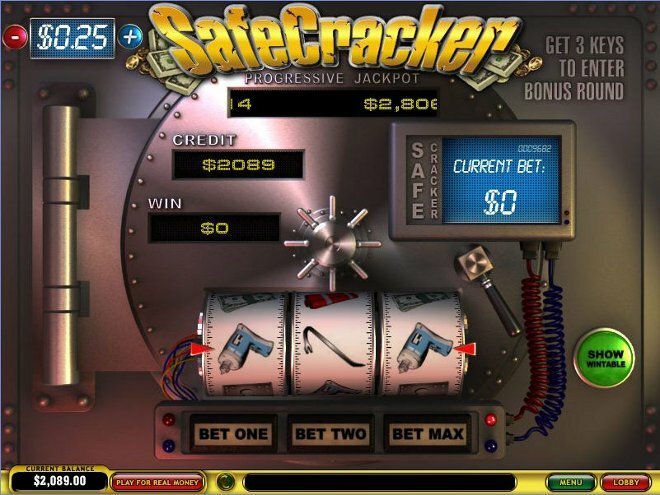 The SafeCracker Progressive Slot is one of the most basic progressive slot machines. It features just one payline, which makes this game very easy to understand and extremely easy to play! The Wall St. Fever Progressive Slot is a Wall Street themed progressive slot machine. To win the progressive jackpot, you must acquire five Wall St. signs on an active payline while playing max coins. 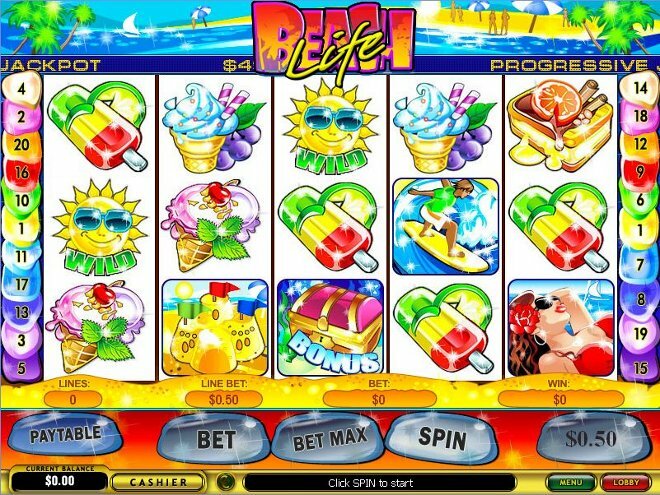 The games above are considered by many to be some of the best progressive slot machines available online. They have withstood the test of time and we’re confident that you’ll enjoy playing all of these progressive slot machines from the comfort of your own home! If you’d like to learn about other types of slot machines, you can do so by visiting our single line slots section, our multi line slots section, or our section featuring slot machines with special progressive jackpots! You can play all of the progressive slot machines featured above for free or for real money at William Hill Casino. They are powered by Playtech software and they are well respected throughout the gaming community, which is why we never hesitate to recommend them to any of our website visitors. At the moment, William Hill Casino is giving away up to $150 in free bonus money to all of their new players, so head over to their website today to take advantage of this great offer! One of our favorite places to play progressive slot machines online is at Player's Palace Casino. They are powered by RTG software and they have hundreds of great games to choose from; including several progressive slot machines with progressive jackpots totaling millions of dollars! They proudly accept players from around the world, including all USA players, which makes Player's Palace Casino the perfect place for everyone to play! Rich Casino is powered by Topgame software and they have hundreds of great games to choose from; including blackjack, video poker, and progressive slot machines just to name a few! Right now, they are giving away up to $3,333 in free bonus money to all of their new players, which is one of the biggest new player welcome bonuses that we’ve come across! There’s no telling how long this offer will last, so head over to Rich Casino today to get your free bonus money before it’s too late! One online casino that we never hesitate to recommend to any of our website visitors is Vegas Casino Online Casino. That’s because they proudly accept players from around the world, including the United States, which makes them the perfect place for everyone to play! They have some of the best progressive slot machines available online and they are currently giving away up to $3,000 in free bonus money to all new players, so visit Vegas Casino Online Casino today to learn more about this great offer! If you’re looking for a fun and exciting place to play progressive slot machines online, you can’t go wrong with 7 Sultans Casino! They have been around for years and they have a great reputation amongst casino players from around the world, which is why we never hesitate to recommend them to any of our website visitors! Right now, 7 Sultans Casino is giving away up to $1,000 in free bonus money to all of their new players, so visit their website today to learn more about this promotion!